Finally. I finally finished the tribute from one of my favorite show from my childhood and the first time i got into the Pokemon franchise.And that show turned 20 years ever since it released in Japan back on April 1st 1997. And most people who lived in US you might know that it did came out in 1998, while in my country (Cyprus) came out in 2000. 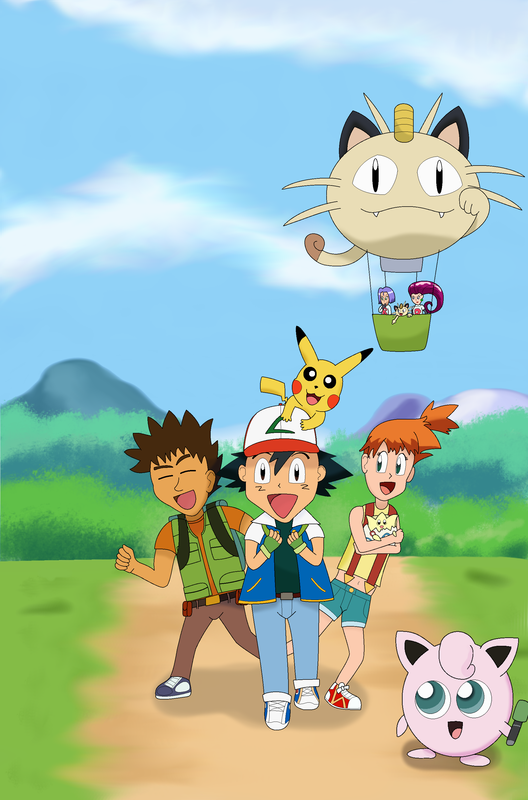 I'll be honest i was lucky that i watched from the beginning when Ash got his first Pokemon and met many friends and discovering many Pokemon. Originally i was going to upload this at the same when day when Japan first released the Pokemon anime, but then i got delays, errors, studies and crashes. And now i am finally bringing this to you all. Happy 20th anniversary Pokemon anime,you were the very best,like no one ever was. Well done buddy. I also am a Pokémon fan. From the shows, to the games and the trading cards. I'm a Pokémon Trading Card Game Master. I was registered as one at age six.